Mix first nine ingredients. Stir in blueberries. Cook on indoor grill. Top with butter and fruit. 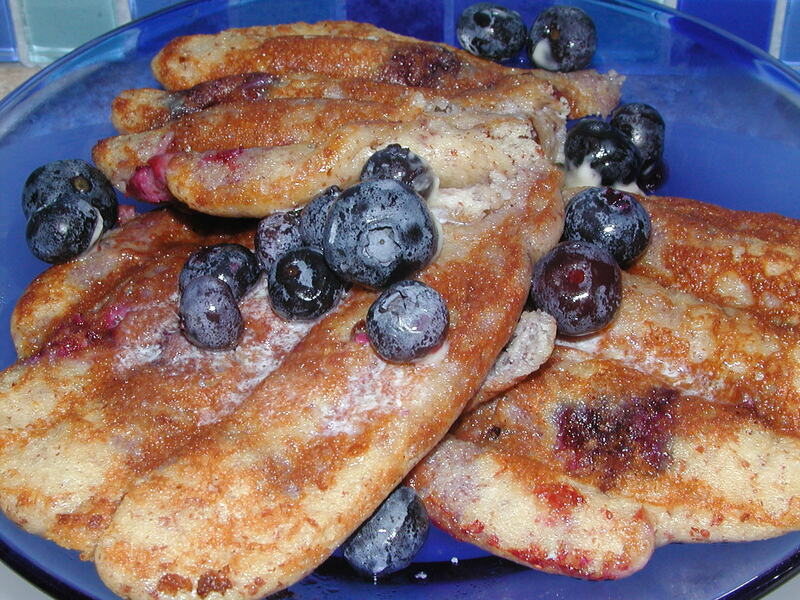 Use pear or blueberry juice as syrup. Enjoy!